Darmstadtium is a super-heavy radioactive element that does not exist in nature and breaks down in a matter of milliseconds following synthesis. Before it was synthesized, the element held the temporary name ununnilium (Uun). In 1994, the isotope 269Ds was conclusively synthesized at the GSI in Darmstadt, Germany by pelting a lead target with nickel ions for several days. The GSI team proposed naming it in honor of the city of Darmstadt, and the IUPAC accepted their proposal. Much remains unknown about darmstadtium due to its extreme instability, and it has no known commercial uses. Darmstadtium is a D-Block, Group 10, Period 7 element. The number of electrons in each of Darmstadtium's shells is 2, 8, 18, 32, 32, 17, 1 and its electron configuration is [Rn]7s15f146d9. In its elemental form, Darmstadtium's CAS number is 54083-77-1. Made by fusing nickel atoms and lead atoms, Darmstadtium was first synthesized in 1994 at the Institute for Heavy Ion Research (Gesellschaft für Schwerionenforschung (GSI)) in Darmstadt, Germany by Peter Armbruster and Gottfried Münzenberg, under the direction of professor Sigurd Hofmann. Darmstadtium is a synthetic element that is not present in the environment. Little is known about the element, its appearance is unknown, and it has no known uses. Darmstadtium was named after the city of Darmstadt, where it was discovered. Darmstadtium information, including technical data, properties, and other useful facts are specified below. Scientific facts such as the atomic structure, ionization energy, abundance on Earth, conductivity, and thermal properties are included. 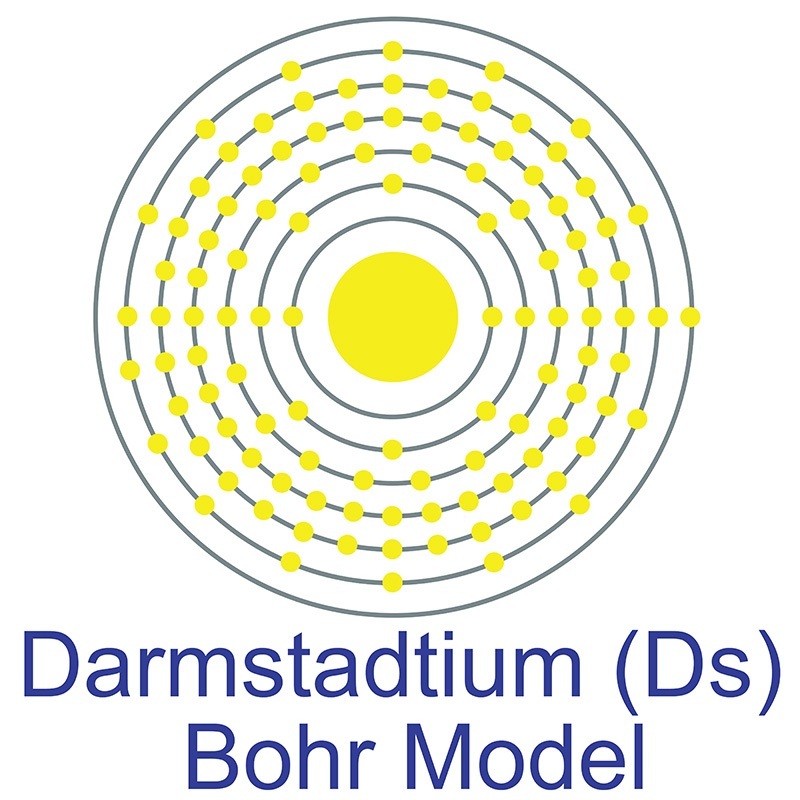 Darmstadtium (Ds) is an artificial element. Like all artificial elements, it has no stable isotopes.